Are you faced with developing a sales team that you feel could do even better but you’re not sure how? Are you looking for a way to improve your team’s behaviours but don’t know where to start? Do you find yourself coming up against increasing obstacles when it comes to closing deals and continued customer engagement? This practical guide aims to help you understand the biggest challenges to your business and discover how you can translate changes in seller behaviour into long-term business success. You will gain valuable understanding into the new age of expectation and the importance of customer curiosity, and discover how to translate it into sales excellence. 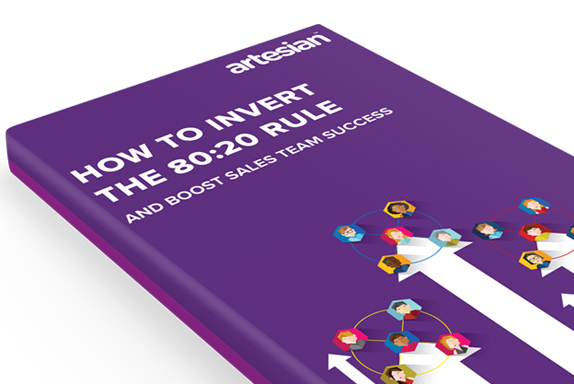 Using the Pareto 80:20 principle, you will learn how to transform your sales team into top performers as well as steps to manage them towards success. For those seeking something less meaty, take a look at our post on how to boost underperforming sales teams. Andrew Yates is currently CEO of Artesian; a company which he co-founded. With over 20 years' experience of building early stage businesses and working in larger corporations. Andrew has a diverse commercial and creative skill set. Andrew enjoys guiding hypergrowth businesses, working to create repeatable, robust and scalable processes to deliver lasting customer happiness and share-holder value.